It seemed appropriate that after profiling Jeff Bezos I should take a look at Jack Ma, the Chairman and founder of China’s answer to Amazon, Alibaba. Jack Ma (real name Ma Yun) started Alibaba in 1999 as a means to harness the power of the internet to link Chinese exporters to local and international business customers – including in the West. It is harder to say which is bigger, Jack Ma’s bank balance (his personal worth is estimated at $29.5 billion1) or his personality. He is a natural entertainer and you can’t help but be enthralled by his rags to riches tale of growing up in communist China as the son of poor musical storytellers. In his many speaking engagements, Ma inspires his audiences with his never give up attitude and boasts of being refused entrance by Harvard 10 times and rejected for dozens of jobs. Ma’s intimate understanding of how to do business in his homeland has been a competitive advantage. But perhaps greater than his knowledge of China has been Jack’s curiosity about the West; starting when he was a teenager giving foreign visitors tours of his hometown Hangzhou in exchange for English lessons. In my blog “How to build a future-ready workforce” I discussed the importance of cross-cultural competency. Jack Ma’s fascination with western culture has seen him build and leverage relationships with powerful people across the world and turned Alibaba into a global player. Like other billionaire success stories, Jack has his own set of wisdoms and mantras which are chronicled in books and videos like “Jack Ma’s 10- Rules for Success”. One of his rules for success is to focus on the culture of the company. That said, the hard work paid off for many employees when the company shares they had been given as bonuses turned them into instant millionaires after Alibaba’s IPO in 2014.7 Today, Alibaba continues to tie new employee remuneration to stock in the company as a means of linking individual pay to company performance. (Read more about the relationship between talent management and company share price in my article). While Silicon Valley remains male dominated, Jack Ma is a vocal advocate for women calling them his company’s “secret sauce.” 8 Women make up 48% of Alibaba’s workforce, around 34% of Alibaba’s high-level managers, and a third of its founding partners. At Cognology our purpose is to bring people together and help them achieve great things. We understand that by harnessing technology, we can help people collaborate at work more seamlessly, productively and successfully. In many ways, Ma’s goals are similar. Jack Ma believes that technology and the internet has no limits and has devoted his adult life to connecting people and businesses across the world to make it easier to do business anywhere. “Jack Ma.” Forbes. Forbes Magazine. Web. 09 Apr. 2017. Stone, Charles Clark and Madeline. “The Incredible and Inspiring Life Story of Alibaba Founder Jack Ma, One of the Richest People in China.” Business Insider. Business Insider, 02 Mar. 2017. Web. 09 Apr. 2017. Zakkour, Michael. “How Jack Ma’s ‘Crazy’ Management Style Built a Technology Empire.” Entrepreneur. 29 Sept. 2014. Web. 09 Apr. 2017. “Magic Jack Ma and the Six Secrets behind the Success of Alibaba.” Financial Review. 21 June 2016. Web. 11 Apr. 2017. RPT-The Alibaba Culture: Kung Fu Commerce with a Dash of Theatre.” Reuters. Thomson Reuters, 08 June 2014. Web. 11 Apr. 2017. McFarland, Matt. “This CEO Banned His First Employees from Living More than 15 Minutes from Work.” The Washington Post. WP Company, 22 Apr. 2016. Web. 10 Apr. 2017. Daily, China. 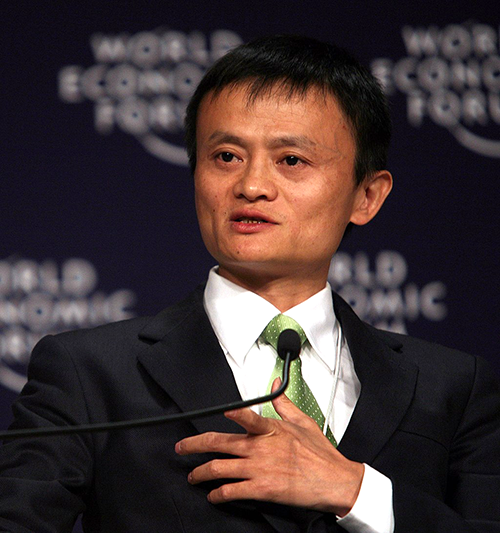 “Alibaba IPO Creates Thousands of New Millionaires in China – The Boston Globe.” BostonGlobe.com. 19 Sept. 2014. Web. 11 Apr. 2017. Low, Catie. “Alibaba’s Billionaire Founder Opens Australian Headquarters.” The Sydney Morning Herald. The Sydney Morning Herald, 03 Feb. 2017. Web. 09 Apr. 2017. “TIME Person of the Year 2014 Runner-Up: Jack Ma.” Time. Time. Web. 09 Apr. 2017. Barboza, David. “At Alibaba, the Founder Is Squarely in Charge.” The New York Times. The New York Times, 06 Sept. 2014. Web. 09 Apr. 2017. I wrote about the positive effect of workers feeling a higher sense of purpose in my blog ‘Work and Happiness’. Musk has a reputation for hiring only the best people on the planet to work for him – whether to build a rocket or cook in the cafeteria.4 He believes that bringing on a few leading minds in the field and giving them the freedom to accomplish their responsibilities is better than hiring a lot of people to get a complicated job done. According to Musk, numbers just slow down progress and make a task more expensive to complete. Apart from wanting the best, Musk also values a positive attitude and an easy to get along with personality. (Watch ‘Elon Musk talks Talent vs. Personality in Employees’). Is Musk a modern day superhero? Musk has been described as a modern day Howard Hughes and even compared to comic book hero Iron Man (aka Tony Stark). There is no doubt he is a physics genius. And, if popular media reports are to be believed, has a penchant for fast cars and beautiful women. However, Musk knows that to achieve his ultimate goal of saving the planet and establishing interplanetary colonisation, it will take a team of superheros. To this end, his approach is quite simple: seek out people who are as talented and driven as he is; ensure that the work environment is as motivating and meaningful as possible; and, establish clear and measurable objectives. Sounds easy, right? Wartzman, Rick. “Admire Elon Musk All You Want, but Please Don’t Manage like Him.” Fortune.com. Fortune, 21 Jan. 2015. Web. 21 May 2017. “How Elon Musk Builds Organizations That Can Achieve Anything – Recruiting & Training, Remaking R&D, Setting Strategy.” Innovation Leader. 13 Feb. 2017. Web. 21 May 2017. Lavoie, Andre. “Want to Hire the Best Talent? Be Like Elon Musk and Set a Strong Vision.” Entrepreneur. 22 July 2014. Web. 21 May 2017. Carson, Biz. “Elon Musk Is so Obsessed with Hiring, He Even Poached the Best Yogurt Shop Employee from Pinkberry.” Business Insider Australia. 02 June 2015. Web. 21 May 2017. Burns, Matt. “Want To Work For Tesla? Elon Musk Turns To Twitter To Recruit Engineers.” TechCrunch. TechCrunch, 19 Nov. 2015. Web. 21 May 2017. Tovey, Alan. “Elon Musk: Have You Got the Drive to Work for Tesla?” The Telegraph. Telegraph Media Group, 20 Nov. 2015. Web. 21 May 2017. Feloni, Richard. “A Former SpaceX Employee Explained What It’s Like To Work For Elon Musk.” Business Insider Australia. 24 June 2014. Web. 21 May 2017. With my last blog “Warren Buffett – Not your average billionaire”, I kicked off a series of posts we are dedicating to some of the most successful leaders of our time. There has been a lot of media coverage lately regarding the imminent launch of an Australian branch of Amazon.com – the world’s biggest online retailer. Not surprisingly, the talk of them setting up shop here has sent local retailers into a spin. Given its power to disrupt markets and change the way the world shops, I thought it would be timely to take a look at the founder, Chairman and CEO of this tech giant – Jeff Bezos. Worth an estimated $72.7 billion, Bezos is painted by biographers as part dreamer, part quantitative analyst. As a teenager he imagined himself becoming an astronaut but instead went on to major in computer science at Princeton, before putting his skills to use on Wall Street. In 1994, despite having a successful career and a six-figure salary, he left Wall Street behind to create Amazon.com, a start-up retail business in the emerging and largely uncharted world wide web. 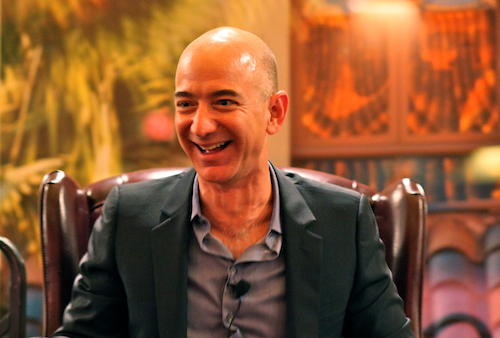 Jeff Bezos quickly proved himself a ‘wunderkind’ with great instincts. He survived the dot.com bust of the late 1990’s and continued building Amazon on the back of his own ingenuity, self confidence, and propensity to think big. Bezos has been accused by critics of lacking empathy and treating workers as expendable resources, but he has also never hidden the fact his priority is and always has been to create value for the customer. Cohesion – the enemy of innovation? A questioning and analytical atmosphere is characteristic of Amazon’s culture. Bezos expects his leaders to openly disagree and argue their perspectives, regardless of how uncomfortable it may make them may feel. To this end, Amazon were early adaptors of an agile feedback system they call the “Anytime Feedback Tool” that enables staff to receive real time input from colleagues who have something to say about their work. Sharing his time across various ventures, Bezos cannot physically be present for every key decision Amazon makes. Being a number cruncher at heart, he puts his faith in the company’s enormous data resources and analytics, and expects leaders to use metrics to make almost every important decision. Adventure and discovery appear to be in Jeff Bezos’s very DNA. However, his passion for progress goes far beyond selfish interests or the financial benefit of shareholders. Bezos seems driven by a self-imposed higher calling to advance the welfare and development of the whole human race. 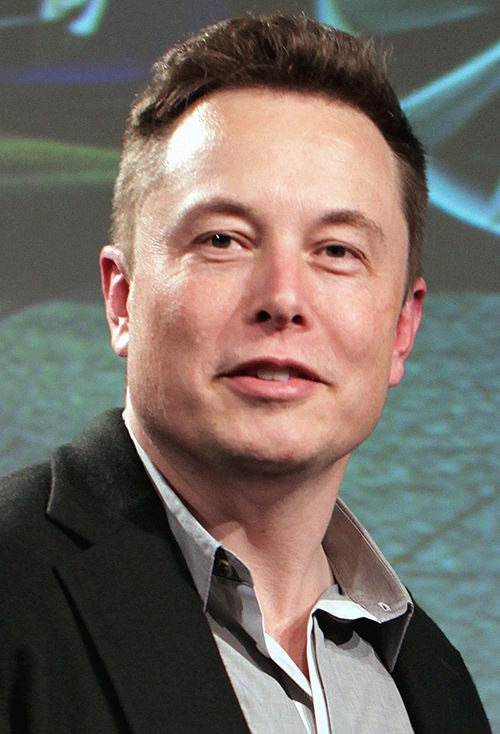 His vision for the future has compelled him to commit hundreds of millions of dollars to a number of ambitious yet noble ventures like carbonless energy, advancements in neuroscience, and Blue Origin – an enterprise aimed at making space travel accessible to millions of people so that they may one day live and work in space. Leadership involves choices. Jeff Bezos understands that to be truly great, you must be prepared to make choices that are neither popular nor easy. Without apology Jeff challenges his people to use their gifts, follow their convictions, and walk the path less travelled. It is perhaps unfortunate that we get many of our insights into business leaders through the media, who (let’s face it) have a tendency to emphasise the sensational aspects of a story. Bezos has certainly received his share of bad press in recent years and if you believe the anecdotes of former staff who claim bad experiences, Amazon is a tough place to work. But given Bezos’s accomplishments and endeavours I can’t help but wonder how balanced the narrative has been. I watch with interest for if and when Amazon.com comes to our shores. D. Baer, 18 03 2014. [Online]. Available: https://www.businessinsider.com.au/the-strategies-jeff-bezos-used-to-build-the-amazon-empire-2014-3. This blog will be the first in a series of posts profiling some of today’s most successful business leaders. Each leader is recognised as a trailblazer in their own right; entrepreneurs and visionaries who have dared to challenge the status quo and write their own rules. This series will explore their different leadership styles and approaches and look at how this has shaped their success. I decided to kick off with a name you might recognise as being one of the wealthiest and most business savvy people on the planet. Buffett has been a regular on the Forbes 400 Richest People in America list since 1982, and in 2008 was officially crowned the richest person in the world with a fortune of $62 billion. Warren Buffett is the stuff of legends and has a cult-like following of investors that hang on his every word. But for me, it is not so much his financial prowess that I’m interested in, but rather how his distinctive leadership style has contributed to his celebrated status in the world of business. Numerous books and articles written about Warren Buffett refer to his laissez-faire approach to management. A French term, laissez-faire loosely translates to “let them do” -basically let people do as they choose. This label seems fair given what I have come to learn about Buffett’s hands-off approach. So how has Warren Buffett managed to successfully build an empire with assets worth $621 billion  whilst all the time remaining at arms length? Perhaps the secret lies in the corporate culture and operating environment he has carefully cultivated over the last four decades. Though Buffett’s communication with his people may be infrequent, his words have impact. He showers praise on the people who work for him in his annual letters but is also generous with advice. He breaks down complex financial concepts in a way that anybody can understand him. Authentic Leadership – Living the Values, Walking the Talk. An ‘aha’ moment for me in my research into Warren Buffett was when I realised that the values he pursues in business he practises in all aspects of his life. At 87, Warren Buffett has no plans to retire. People will remember Buffett for his extraordinary ability to pick good investments. But in truth, a lot of his success has been due to his ability to identify talent and retain top performers for the long term. His leadership style has been shaped by his own personality: his honesty, his integrity, his humility, and his other deeply ingrained values. He has succeeded in demonstrating that you don’t have to maintain tight control over your people to do well in business. Success can in fact come from letting go – so long as you have laid the right groundwork to begin with. L. A. Cunningham, Berkshire Beyond Buffett : The Enduring Value of Values, Columbia University Press, 2014. Market Watch, “marketwatch.com,” [Online]. Available: http://www.marketwatch.com/investing/stock/brk.a/financials. [Accessed 09 03 2017]. Vintage Value Investing, [Online]. Available: http://vintagevalueinvesting.com/wp-content/uploads/2017/01/Warren-Buffett-University-of-Florida-Lecture-Vintage-Value-Investing.pdf. L. A. Cunningham, “The Philosophy of Warren E. Buffett,” The New York Times, 05 02 2015. A. Mohr, “www.investopedia.com,” 22 07 2016. [Online]. Available: http://www.investopedia.com/financial-edge/0412/the-everyday-lives-of-frugal-billionaires.aspx. 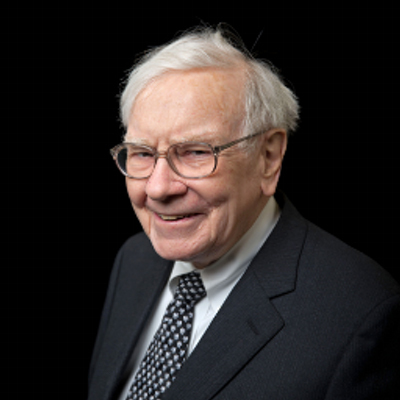 W. Buffett, “berkshirehathaway.com,” 31 12 2014. [Online]. Available: http://www.berkshirehathaway.com/letters/2014ltr.pdf. What can Netflix, HubSpot, Zappos and Google teach you about the future of performance management? https://www.cognology.com.au/wp-content/uploads/2015/02/Future-of-performance-management.gif 210 210 Jon Windust https://www.cognology.com.au/wp-content/uploads/2017/01/Cognology-logo-colour-300x101.png Jon Windust2015-02-18 02:52:262018-06-06 14:26:46What can Netflix, HubSpot, Zappos and Google teach you about the future of performance management? Congratulations on your recent appointment as CEO of NBN. It’s a big job, even with your history of telecom turnarounds. I read with interest the article in The Australian about your plans to fix the cultural problems at NBN. As an expert in performance management, I’ve seen cultural problems of all shapes and sizes. But it sounds like the mess you’ve inherited at NBN is truly something unique! I’m amazed by some of the cultural and engagement problems. So I wanted to offer you some friendly advice and a second pair of eyes. Here’s my thoughts about your strategy to turn NBN into a high performance organisation. I know that the NBN has been a bit of political kick-ball. And that there’s been a lot of changes. But you’re building a transformational piece of Australian infrastructure. The goals of what you’re setting out to do are very big (and very clear). NBN is almost the definition of a mission driven organisation. So there’s no reason that you should be dealing with an organisational engagement score of just 44%! In my opinion, your workforce at NBN has to be inspired by a mission driven culture. Every employee needs to get up in the morning ready to shape the future of the country. And you can do this by giving them clear expectations that are directly connected back to the goals and mission of the organisation. I can see that you’ve recognised the huge role that performance management has to play in fixing the culture. In fact, I know that you’ve “set about reforming the way the company measures performance”. But I wanted to issue a word of warning. Measuring performance is typically only half of the challenge in a dysfunctional culture. The biggest problem is clearly setting out what high performance actually looks like in the first place. In my experience, you get high performance when every employee can explicitly state what high performance looks like for their role, on a day-to-day basis. And I bet this isn’t the case at NBN today. In fact, I’m going to make a wager that you have thousands of employees running round with unclear position descriptions and requirements. These employees have no real clarity around what they need to do to be successful. And as a result, they start playing the blame game. “An independent assessment by KordaMentha and Boston Consulting Group cited a fear among staff of “being blamed for mistakes” that “generated a lack of willingness to accept responsibility in some functional groups”. When you do performance management well, it’s clear who is responsible for delivery. The process ensures that your employees are deeply invested in their goals and objectives. Remember that at heart, great performance management really isn’t much more than an organisational process for accountability. I’ve seen the impacts of a ‘blame-game’ culture before. And I’ve got no doubt this is how NBN got to an engagement score of 44%. Because in the ‘blame-game’ environment, everyone is watching their back. Right now, your staff don’t have the time (or the energy) to care about their role in shaping the future of Australia. Getting off the pedestal is important. And so is showing everyone that the mission of the organisation is more important than your harbour-view office. People at NBN do need a symbol of change. And tearing down the office walls might help with that. But don’t confuse the quick win of knocking down the walls with the long-term change in behaviour that you need. You can tear down physical walls in a weekend, but good performance management and a culture of accountability takes hard work over many years. I’d remind every employee of the role they play in delivering the mission of NBN. I’d quickly get rid of those that don’t care. I’d make sure that for those that do care, the expectations of high performance are explicitly set out. And finally, I’d focus on making the connection between every individual’s performance and the mission of building a better Australia. Once everyone can see how those expectations connect back to the big mission of NBN, you’re in with a fighting chance. 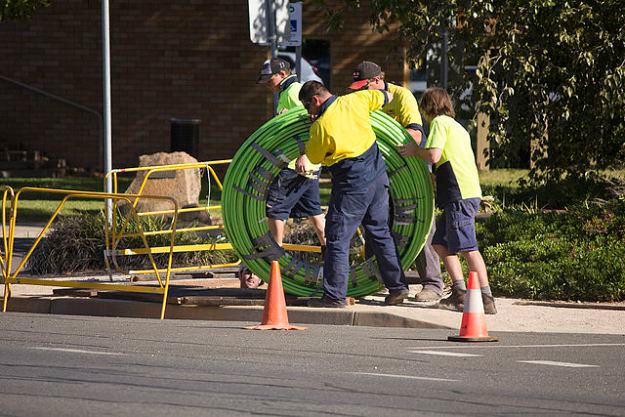 Good luck – I’m looking forward to seeing a very engaged team coming through my neighbourhood to connect us to the NBN soon!